After a couple of games, several hours in the cage, reading direct user reviews, discussing the bat with the manufacturer and major vendors we put together the following review on the 2018 DeMarini Voodoo Insane. Although the bat does come with a larger barrel then the Balanced Voodoo or One, the added end weight is a real hindrance to smaller hitters. If, then, you are stronger hitter looking for a hybrid bat then we are confident you’ll be happy with the 2018 Demarini Voodoo Insane. A lot of vendors will carry this bat so it is worth shopping around a bit. Do know, until the early part of 2018, the Voodoo should be the same price everywhere as DeMarini tends to release pricing holds around that point. Our favorite place to start looking for pricing is Amazon. Many major vendors sell their inventory there and pricing is often competitive. As we mention above, the Voodoo Insane is an endloaded bat built for strong hitters that like the smoother feel of a two piece composite bat. 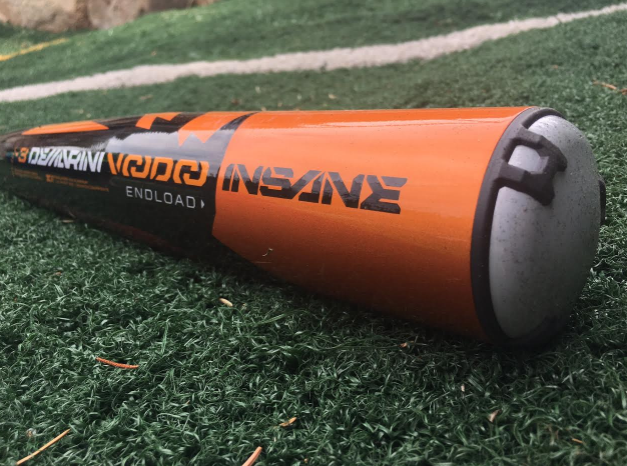 Many collegiate players with schools that use DeMarini end up using the Voodoo Insane. 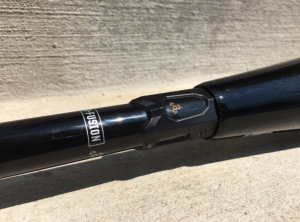 Smaller hitters that like a hybrid bat, but want a little more of a manageable swing weight, should consider the Voodoo Balanced—which is the sister bat of the Voodoo Insane but with a lighter swing weight. Do note, though, the barrel on the Balanced is smaller than the Insane. 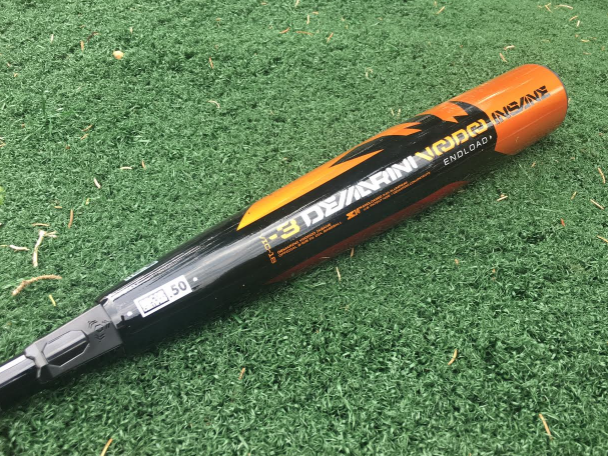 The only difference between the 2017 and 2018 DeMarini Voodoo is the connective piece. In 2017 it was referred to as the D-Fusion handle. The 2018 model has a slimmed down version of the D-Fusion referred to as the 3 Fusion. Less bulk in the connective piece allows DeMarini to use the weight in other places to reinforce performance and durability without effecting swing weight. This heavier swinging bat is only released in a BBCOR version. This does make sense, as it really is a big, strong hitter’s bat. If there are non BBCOR players looking for a Voodoo then they should go for the drop 5 Voodoo Balanced. Hybrid bats are fairly common, but in the remarkably heavy realm they are less so. In 2018, there are two comparable bats to the Voodoo Insane. Both Easton’s Z-Core XL and the Slugger 718 are comparable bats to the Voodoo Insane. Both are hybrid bats with end loads. Also, we should note, Marucci’s CAT 7 connect is meant as a two piece composite bat with an endload. Our measurements didn’t show the Connect as heavy as a swing as the Voodoo Insane, but both should be considered end loaded bats. The connect, in fact, is the only bat on this short list that comes in something other than BBCOR. More background on the 2018 DeMarini Voodoo Insane can be found by referencing a few places. 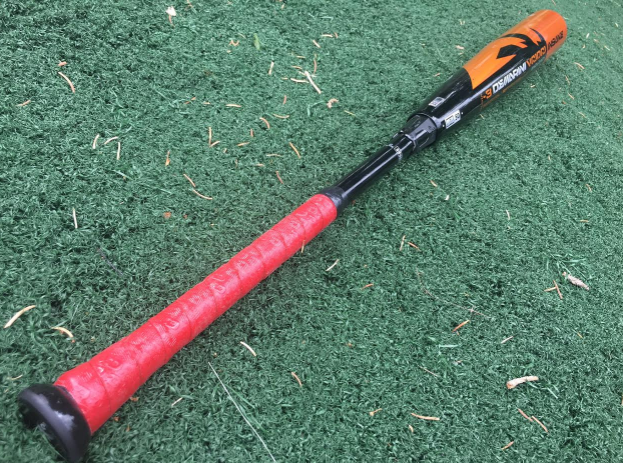 In particular, we relied heavily on our 2017 Demarini Voodoo Insane Review. As well, our bat reviews section might give you a few more ideas as to details behind hybrid bats. Off this site we think past user reviews on Amazon are mildly helpful. As well, DeMarin’s bat site might be useful to find sizing and comparison options.